Rain Chances has increased, by an approaching Cold Front from the West, Thursday through Friday. A Low pressure System will Also approach the region from the South, Thursday and Thursday Night. These Conditions, at this time, does not appear favorable for Widespread Severe Storms. But...An Isolated Severe Storm or Two CANNOT be ruled out. As a result of the Front...The Temperatures will most likely reach the lower 40s and possibly the upper 30s across the area late Monday Night into Tuesday Morning. Friday there is a slight Tornado Chance for this area. The models I've seen show Strong Vertical Shear profiles with enough Instability and Adequate Low-Level Shear for a Tornado Threat. 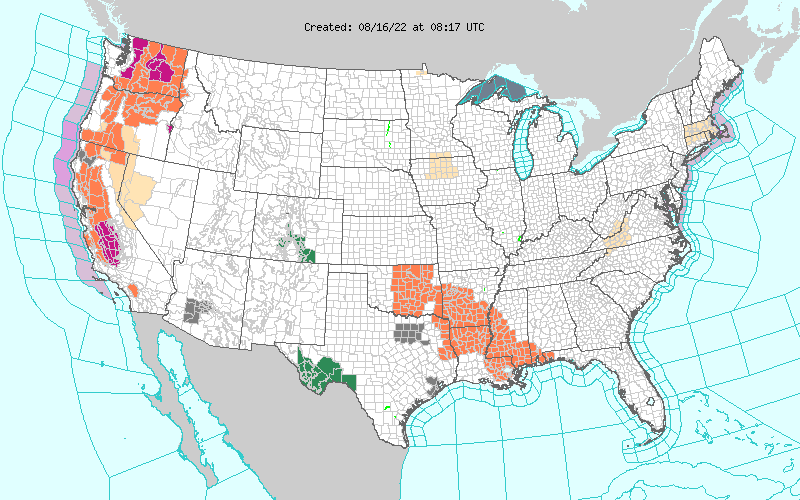 The Severe Weather Chances has moved more to the Southeast to the FL Big Bend.